This is my first attempt to do ”Edible Stones”, which I was served at Mugaritz and from whom I also have followed the instructions how to do this from. It is very easy to do this but you need some ingredients that you may not have in store in your kitchen. Mugaritz also serves an alioli (not aioli; alioli from “all I oli”, Catalan for “garlic and oil”) to the “Edible Stones” but I did only do the actual “coating” for the potatoes (that are the “stones”). 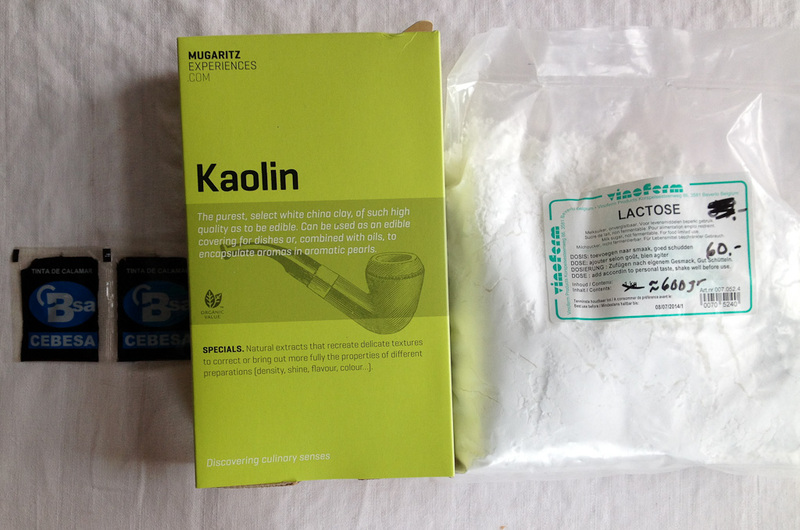 I placed the kaolin, lactose and salt in a bowl and mixed them together and then gradually added the water. 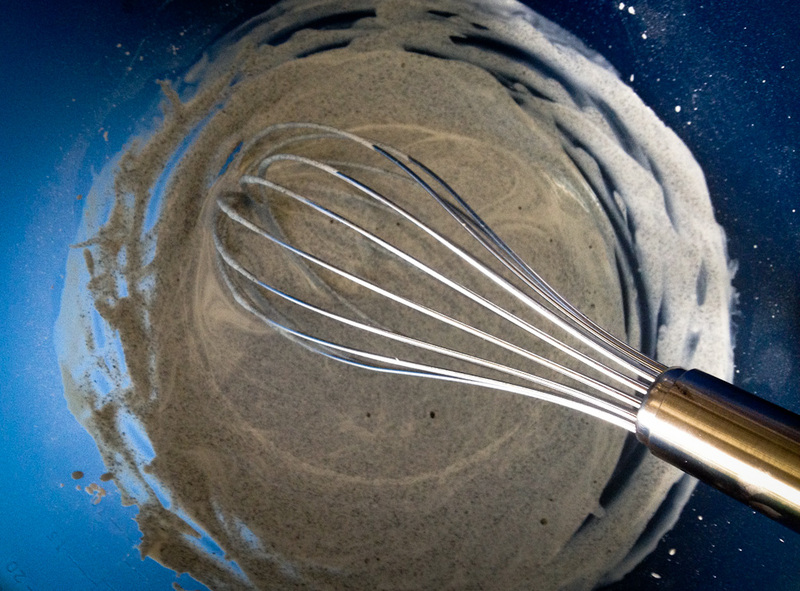 I finished by mixing in the squid ink. I then let the mix liquefy for about an hour. I cooked the cleaned but unpeeled potatoes (the “stones”) for about 15 minutes and then waited for them to dry completely. I then put a skewer in each potato and dipped them in the above mixture/coating so all the potato was completely covered. 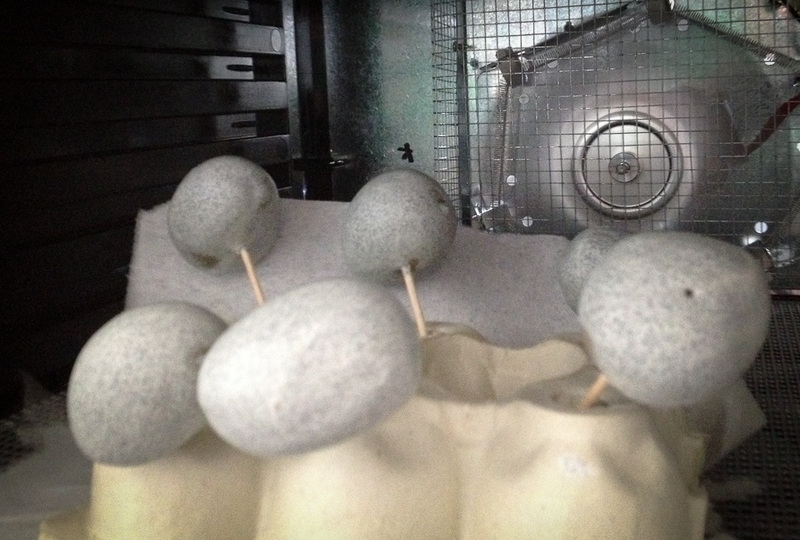 Then I placed the skewers with the potatoes on some kind of stand (in my case an old egg cardboard) and put them in a Food Dehydrator set at roughly 50 degrees Celsius for about 30 minutes (or until the coating has dried) . An oven or stove can be used instead of the Dehydrator. 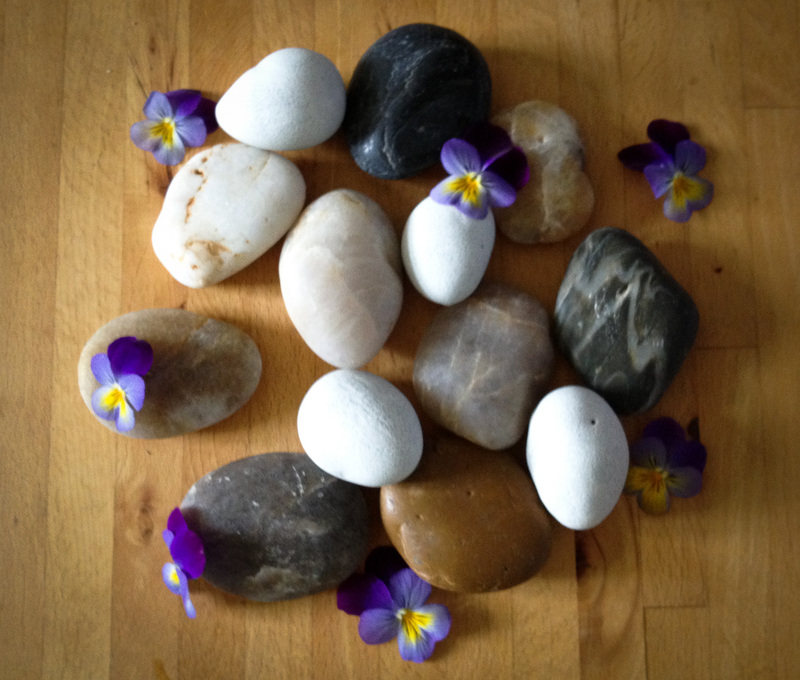 As a presentation I used some real stones to accompany the edible ones. The next time I will probably use more ink to have the “stones” appear darker (Mugaritz also suggests to cover the real stones with some kaolin and put them in the oven at 70 C for 5 – 7 minutes and this will most likely also suppress the contrast in a more favorite way between the edible and real stones). Gallery | This entry was posted in Food and tagged Edible Stones, Food, kaolin, lactose, Mugaritz, potato, squid ink. Bookmark the permalink.